We are transitioning from Eastertide to Pentecost in the life of the church. Chances are, the next big events in the life of the members of your congregation are graduations, weddings, and for some members, transitioning to their summer homes. Think about how stewardship factors into these times in the lives of your church members. For those getting married, stewardship and generosity should be part of the discussion and any pre-wedding counseling. Ask the couple to talk through their philosophy on money, giving and the role they would like for money to have in their marriage. 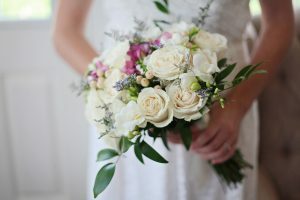 Also, as you are likely aware, wedding costs are often carried by the families of those getting married, and they may not feel they have the money needed to give to a capital campaign or fulfill stewardship promises at this time. This doesn’t change your church’s overall stewardship plan, but it is good to remember in conversations with members about money. For those graduating, student loan debt is likely a consideration, whether they are entering college or leaving. College students can still contribute to the life of the church by volunteering but also by giving. The emphasis here should be on making giving a regular habit, even if it’s as small as $5. What you hope to establish with younger members of your congregation is the habit of stewardship and the spiritual disciple of generosity. Seasonal residents provide challenges for congregations in terms of when and how to make the stewardship pitch. We’ve found that some Florida churches have flipped their stewardship schedules around, placing pledge Sunday during early Lent, so they catch the seniors headed to cooler climates before they leave for the summer. You will want to adjust your stewardship plan accordingly. What can you do in May to remind your congregation of the importance of stewardship? Here are a few ideas. If you’re sending out quarterly statements, include a personal letter that highlights ministries and important moments in the life of the church. This is a great time to mention your church’s extensive music ministry, if that was a key part of Easter celebrations, or report on the congregation’s winter food drive to fill a pantry. If time allows, the pastor or stewardship chair (or both) should sign each letter by hand. A Minute for Mission that simply thanks the congregation for its legacy of support is a wonderful way to ensure their gifts are appreciated. If your stewardship or generosity team hasn’t met recently, this is a good time to pull them together to begin discussing what the needs might be for the next pledge drive. What does your church typically do in May that ties with stewardship? Tell us! We may use your story in a future blog post or an e-newsletter. We love to hear from churches, as it helps inform our mission and ministry. You can reach us at serving@presbyterianfoundation.org. Please put stewardship news in the subject line of your email. We look forward to hearing from you! November 13, 2018 , Why Support Your Local Church?